This is not only beautiful, but a great way to offer a variety of choices to your guests. It doesn’t get easier that this! Set out chilled Champagne and keep on ice Pour juices into decanters or pitchers of your choice. We used, ruby-red grapefruit, strawberry-kiwi and orange juice. Fill small bowls with fruit – just choose whatever is fresh at the market. 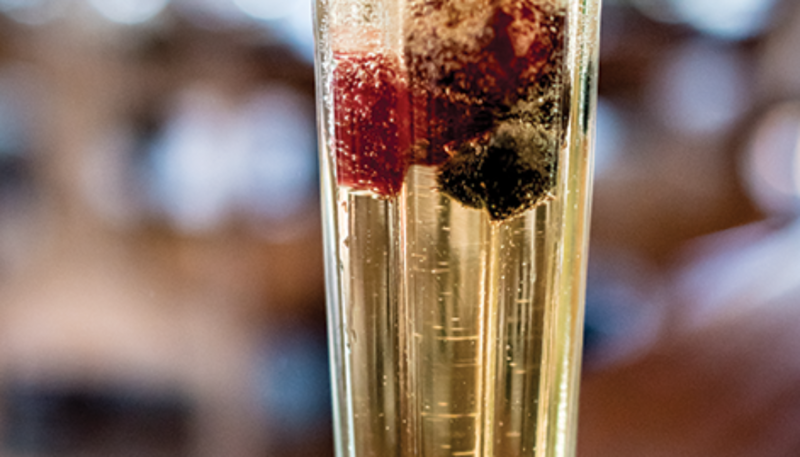 Then all your guests need to do is pour the bubbly, add the juice and top with fruit.